After our lunch at the Clover Food Truck, Michelle and I browsed the Dewey Square Farmers market. I was on the hunt for some local strawberries, but did not see anything. Tip #1 when shopping a farmer's market keep an open mind. They might not have *exactly* what you're looking for, but you might be in for a surpirse! 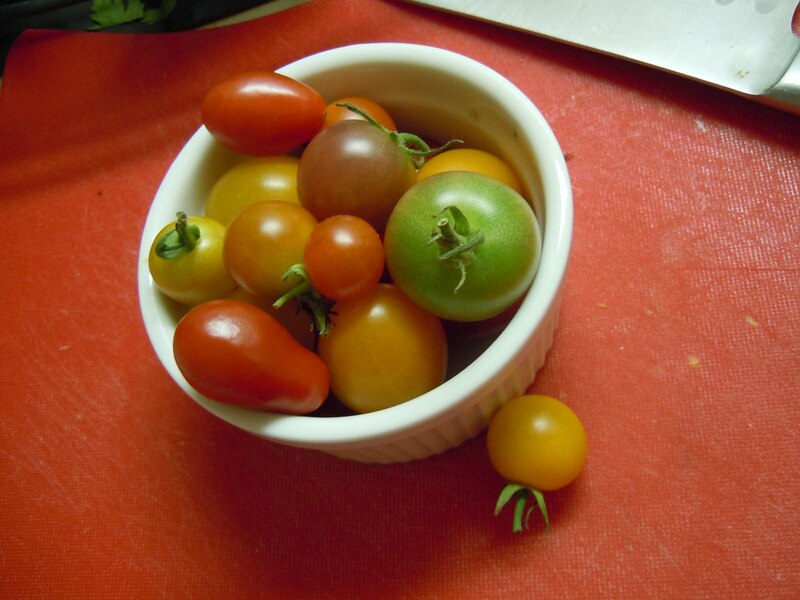 Instead of a pint of bright red strawberries, I saw this gorgeous display of mini-heirloom tomatoes. Equally sweet, and just as exciting as local berries. I could tell they were fresh because there skin was smooth and unblemished. I could tell they were ripe because they were bright and colorful, and they just smelled like a garden. Many of the tomatoes still had their stems and leaves in tact. They must have been picked that same morning. Although I had plans for strawberries with balsamic, these tomatoes stood in just as well in a summer salad. Sweet and juicy and dressed with aged balsamic they were a perfect stand-in for a refreshing summer dinner. 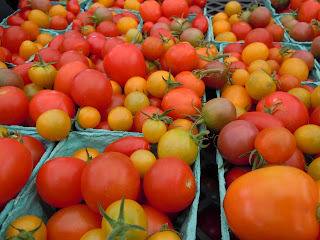 Have you ever had a surprise or unplanned purchase at a market? 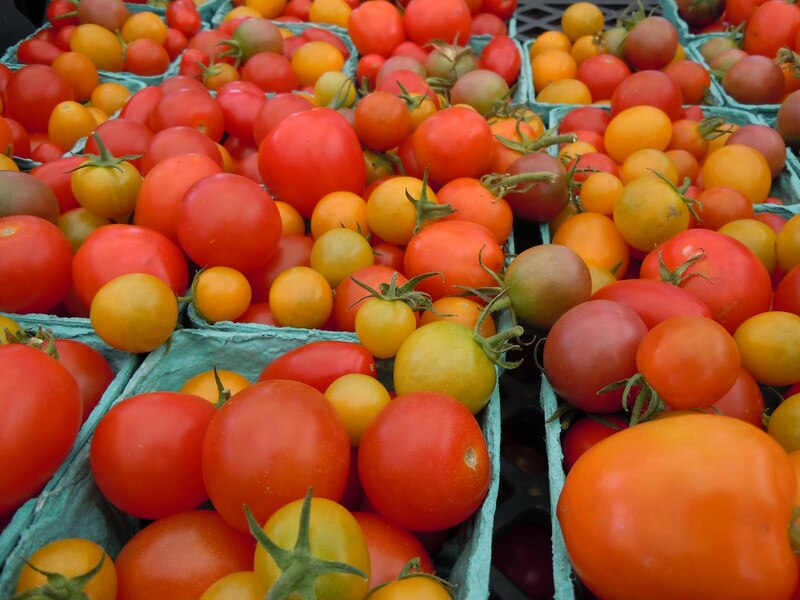 What is your favorite way to use fresh summer tomatoes? I just bought some orange tomatoes and made the best bruschetta out of it! It was so yummy!! Can I just say it again...I love your camera! It takes some great photos! I can't wait for our next lunch adventure to see what we can discover this time! 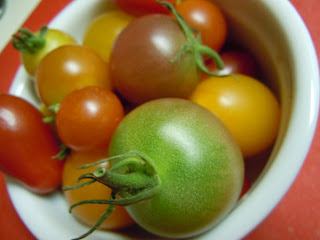 I love that garden smell on tomatoes. 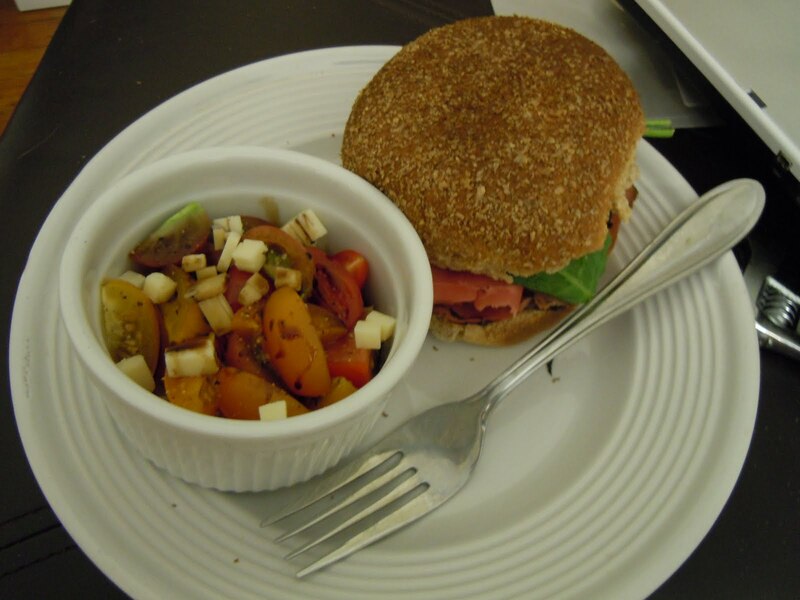 I like to eat really fresh heirlooms with just a sprinkling of salt. 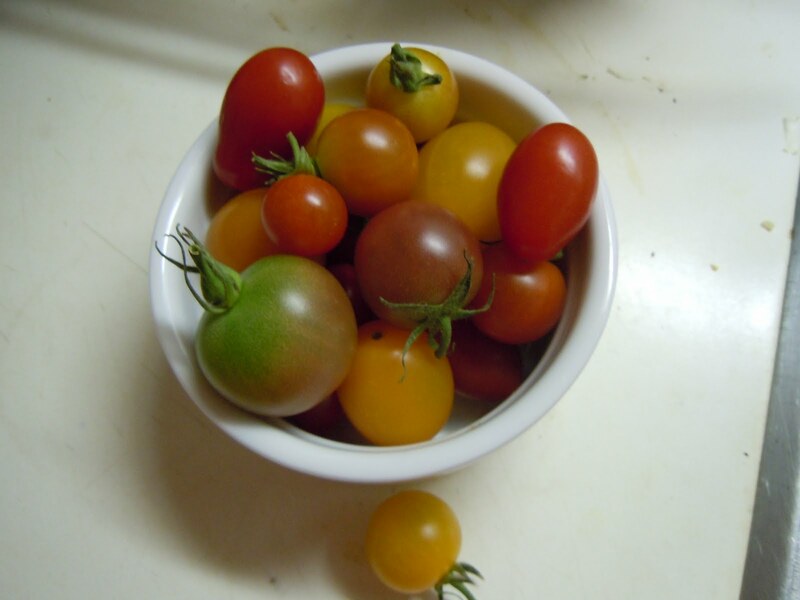 Those tomatoes are so pretty! I love farmers market finds.